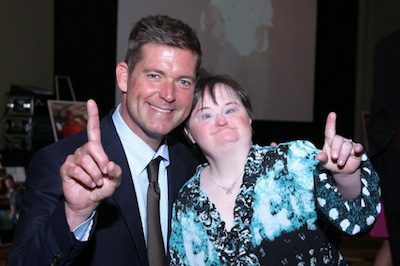 (SAVANNAH, GA) The Lowcountry Down Syndrome Society (LDSS) is requesting nominations for its 9th Annual Night of Champions to be held this May. The event seeks to recognize Savannah area employees who are differently-abled and excel in their workplace, with an additional acknowledgment of the employers who have given them the opportunity to work. “Night of Champions celebrates employees and their employers whose dedication and leadership shines a light on the possibilities and benefits of inclusive communities and workspaces,” said Night of Champions Chairperson, Tom Kenkel. Employee nominations can be submitted online at nightofchampions.org until Friday, April 13. The selected employees and their employers will be invited as special guests to the Night of Champions dinner, which will take place at the Savannah International Trade and Convention Center on Thursday, May 10, at 6 p.m. In addition to dinner, the evening will include a recognition ceremony, a silent auction and a cash bar, with Jamie Deen and Allyson Harvin serving as the night’s emcees. Business professional attire is requested. Individual tickets are $50, and tables of ten can be reserved for $500 at nightofchampions.org.